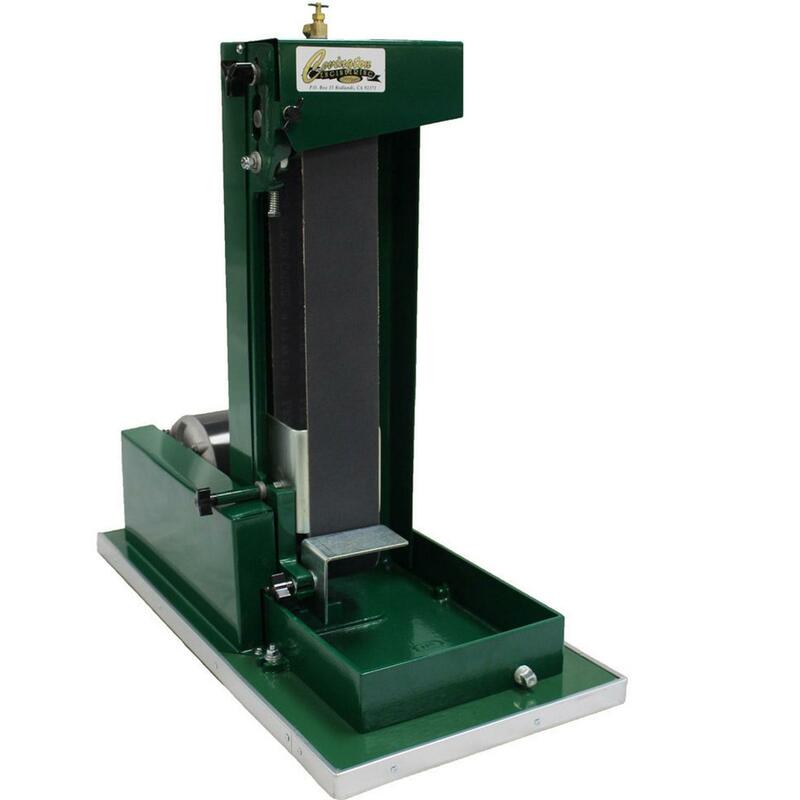 This high quality belt sander is designed with production in mind. Powerful 1/3 hp motor makes fast work of grinding, beveling and polishing. Unobstructed access to work area accommodates larger project, and makes replacing belts easy. Features an adjustable back-up plate. Single control aligner keeps belt running true. Includes one 220 grit 3" wide belt and 4" high back plate. 1 year manufacturer warranty (excludes belts). Belt Dimensions: 3" x 41-1/2"
Coolant System: Sponge keeps belt wet. Grinder can also be used dry for standard sanding of soft materials. Overall Size: 12" wide x 24" x 24"
THE wet-belt tool to have! Pros : Built like a tank. Fantastic cold-work studio tool. Will out-live you several times over. Finishing results are superb and quick. LOVE IT!!! Cons : None I can see, not even the price!